What do you do with leftover roast beef, potatoes, carrots, and gravy? You’ve eaten it for dinner or lunch for several days. You don’t want it in that format anymore. Usually, I make beef empanadas. 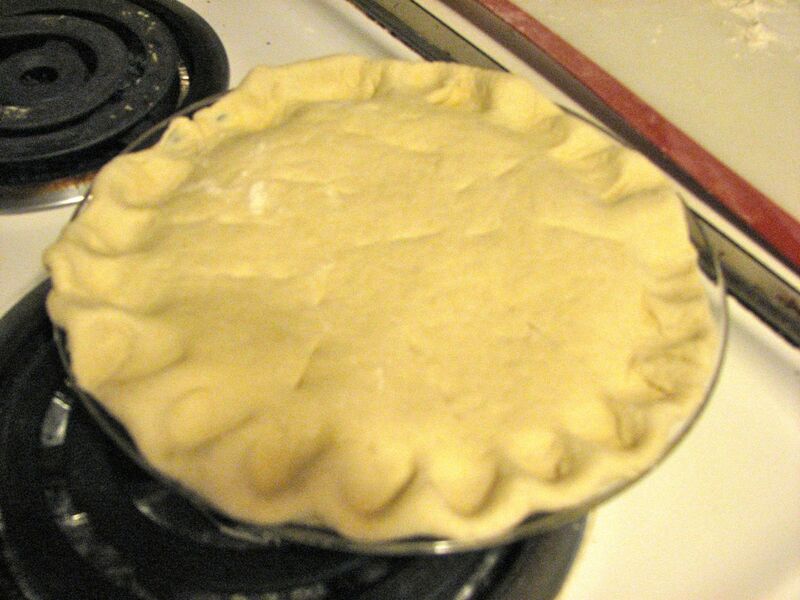 Recently, I started to do so, and then I decided to make everything into a pie instead. I did all of the prep work the same as the empanadas, but when it came time to roll out the dough for the individual empanadas, I went ahead and rolled out two pie crusts instead. First, I chopped up the meat and veggies and heated them on the stove with the leftover gravy. 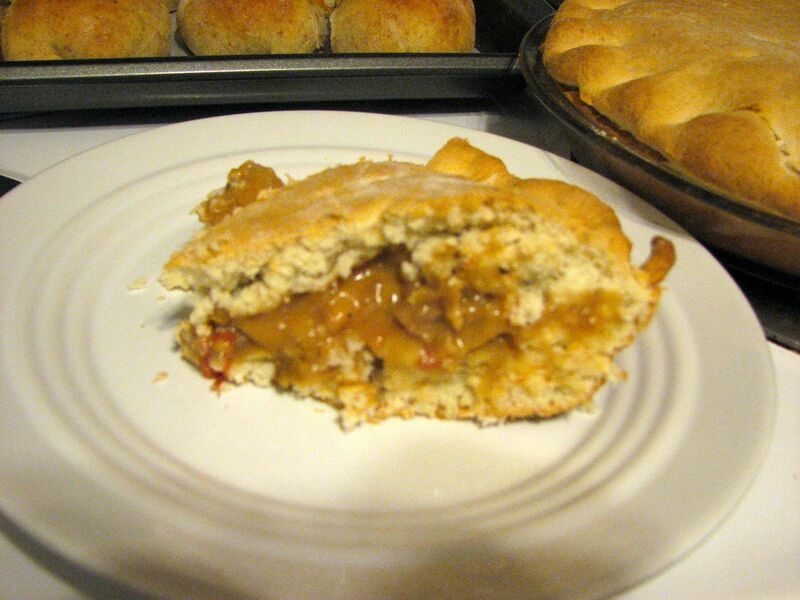 I added flour to make it thicker, and then I added cheddar cheese. For the dough, I mixed 1 cup of boiling water with 4-1/2 cups of Bisquick. If I do this again, I’ll use half as much dough, because I think the amount I made was way too much. 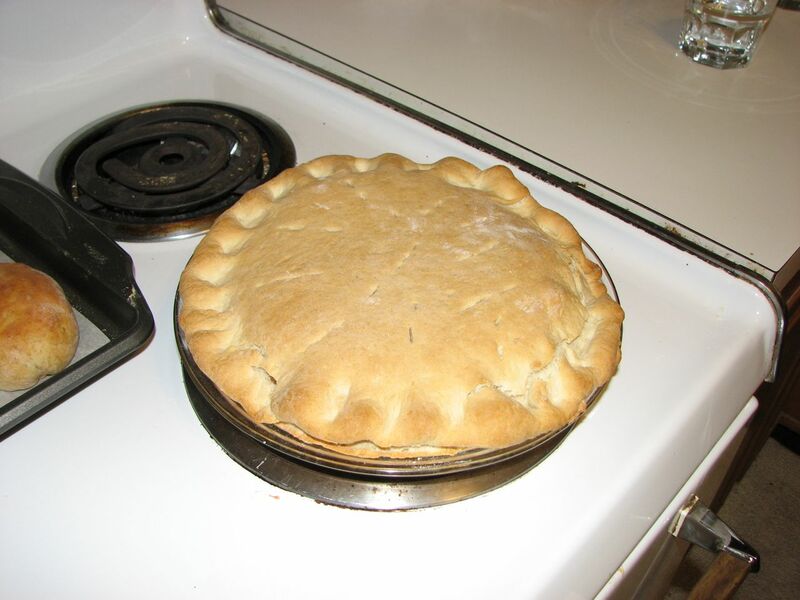 I put one pie crust in the pan and stuck it in the oven for a few minutes. Next, I added the beef filling, covered it with the second crust, poked holes in it, and baked it at 400 for about 18 min. 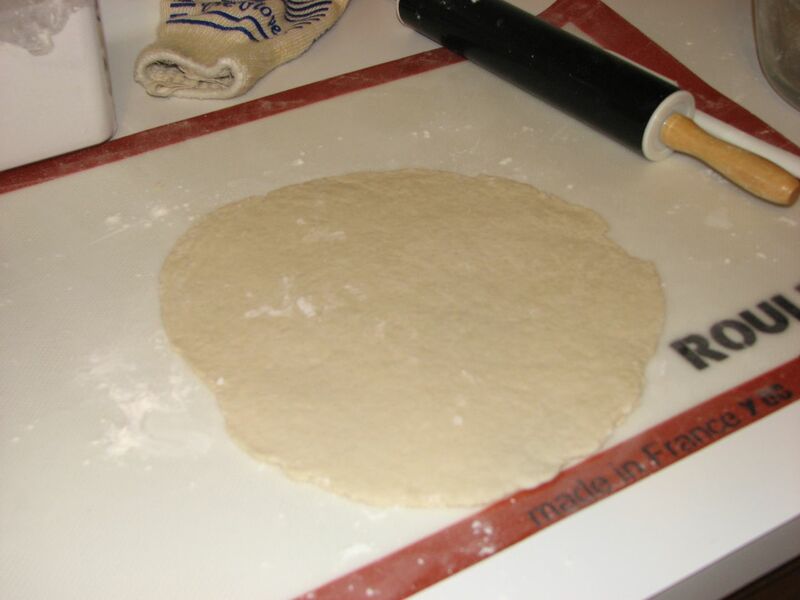 Dough rolled out for a pie crust. 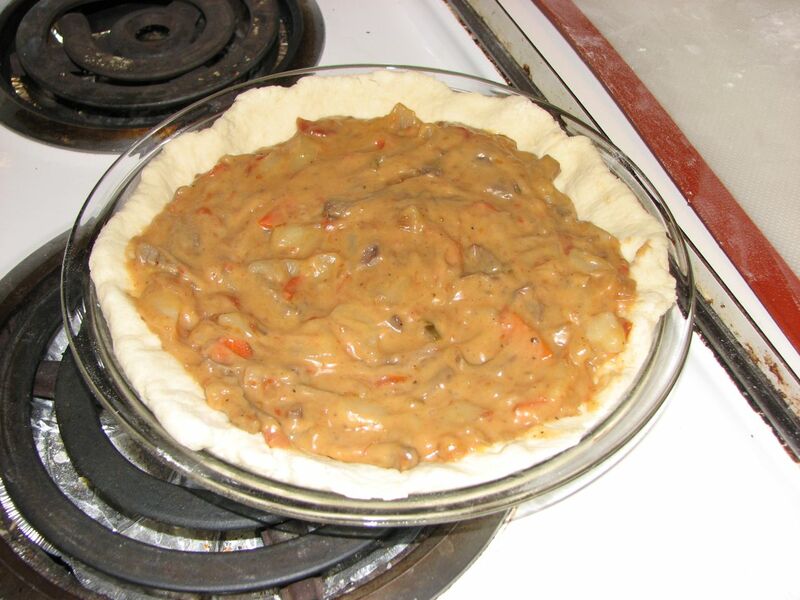 The beef filling in the pie.